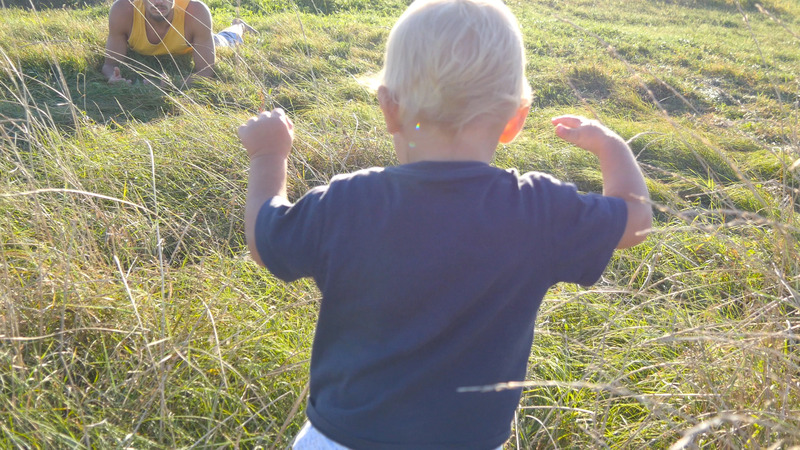 Description: Little child goes on green grass at the field to his father at sunny day. Happy family on a summer meadow. Baby boy walking to his daddy outdoor. Toddler learning to walk. Rear back view. Close up.